Home / Nintendo / reviews / switch / videogames / All aboard the midnight special. 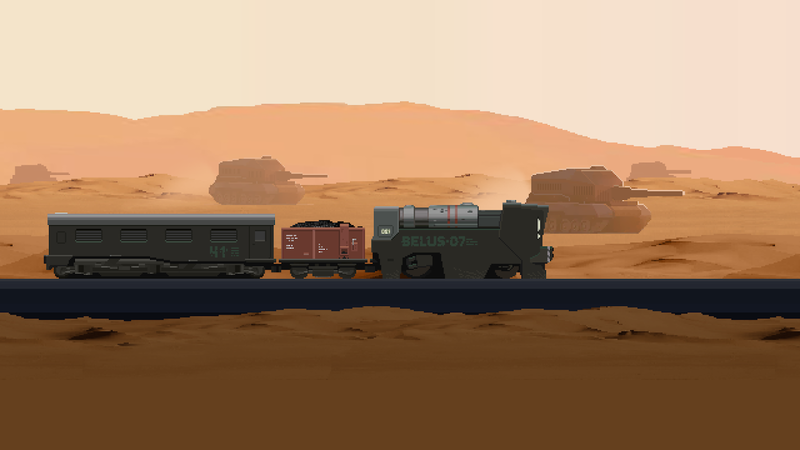 : The Final Station – Review, Nintendo Switch edition. All aboard the midnight special. 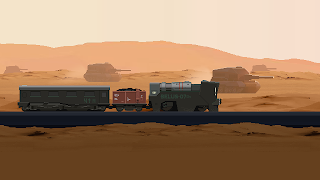 : The Final Station – Review, Nintendo Switch edition. The Final Station – Review, Nintendo Switch edition. Things started out so well. My first day back on the job after a well-earned vacation, the sun was out, the people were in good spirits and we were ready to haul a couple ton of steel train throughout the country. The old magnificent metal wonder might not have been the latest greatest, but she was magnificent all the same and mine to care for. But soon the day went south and people are disappearing again, those left behind are panicking, this is just like the first visit some 106 years ago. That means THEY will be back and the worst is yet to come. I hate Mondays. 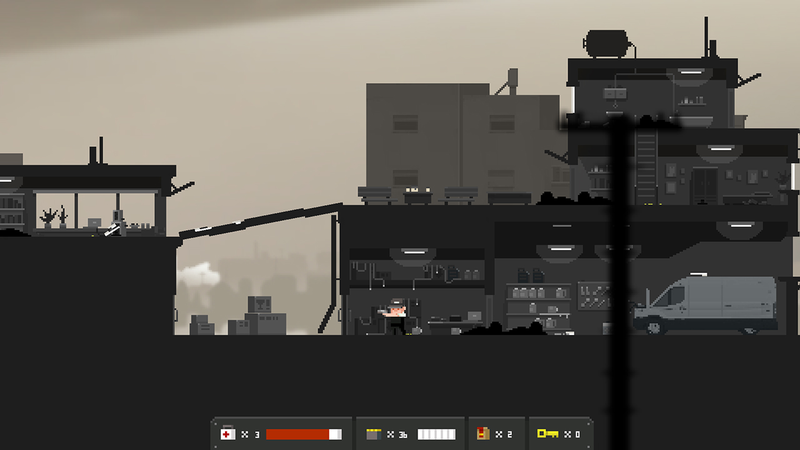 The Final Station is a side-scrolling game that combines a mysterious storyline, told with scattered clues and dialog throughout the game, with a shooting mechanic and part train management gameplay. It was first released back in August 2016 on Steam and consoles and has now made its way to the Nintendo switch. In The Final station, you play the part of a conductor who is tasked to take an experimental train out to pick up some secretive cargo and any passengers on the way. Pretty soon things go awry and you go from simple train conductor/mechanic to full blown apocalypse law enforcement officer who is pushed from station to station by the military leaders who are all too eager to boss you around while conspiring behind your back. My trusty 3 ton diesel engine. realize I could use scavenged parts to craft ammo and health kits etc. while in the train. The same thing goes for the second part of the game, you learn as you go in what you can and cannot do. Once you hit a station or substation, you are stopped by so called blockers. These devices you are told were installed to prevent massive accidents and you need a code to pass them. This off course is a plot device to get you to explore the area to look for the authority with the code. While at first nothing to dramatic happens you can find clues on the way that start to form a picture, something is going on around here. And soon you are met by mysterious shadowy creatures that attack on sight with not much to defend yourself with other then a few hands full of ammo and a pistol. As you progress you can find and buy more ammo and weapons , but it is always a rare commodity, so where possible you use fists and furniture to defend yourself as you traverse the dangerous ground, picking up supplies on the way to that much needed blocker code. The enemy types come in different variety, making you come up with a plan to clean out an area in order to proceed. There your typical slow moving shamblers , quick moving and hard hitting rushers, armored enemies, bigger shamblers and a highly volatile explody one. Often you see them in different combinations and especially when you need to move up or down ladders they can be a handful to manage without being taken out. With save point through the game, death means often nothing more than an inconvenience and a reset to start over while you learn from your mistakes and change your approach. Along the way you keep collecting supplies, clues and pick up stranded survivors. And once back in the train they will divulge some information about what has been happening if you have time enough to “listen” in while keeping the train going and managing your patients. Eer I mean passengers. The final stations is a modern 8bit style game that manages to bring a believable story through beautiful design, lighting and surprisingly detailed characters. Working in pixels is often a bigger challenge then drawing out a full HD picture, but the team at Do My Best Games have pulled of some great work with their designs that work without even getting exposure to concept art. The story gets told in bits and pieces that you have to puzzle together yourself using dialog bits, scraps of papers and computer terminals, but if you have read/watched scifi and survival plots before you should not have too much trouble. The overall feel of tension is conveyed very well through the level design, artwork and minimalistic sounds in the game with the occasional music interludes. I had some trouble with the aiming in this game, causing me to waste ammo and suffer some unneeded deaths at times, and possible with mouse and keyboard this is more precise, but as I have not played the PC version that is just speculation on my part.. In part due to playing handheld mode it is also an issue with the joycon sticks and as I switched to a big screen with pro controller things had improved considerably, although not to the level of control I hoped for. The safe points are plenty and there are no real repercussions for failing, I did find the safe point locations inconsistent. As you already notice this game has shooting, death, pixelated blood and a gloomy storyline. Even though all of this is pixelated, I would not recommend this for the smallest kids. The ESRB rating is M for Violence, Blood, and strong language, but I find this to high of a rating myself and would say it is suitable to play for teenagers 13 and up. But as always, you are the parent and know what is best for your kid. This is also a single player game and there is not much of puzzle solving going on that need more than one brain so it will be limited in experiences it can give to more than one person at a time. The final station is an interesting game, which suffers a bit from its linear gameplay but still has enough going for it to recommend as an experience. But it is an older game that just made it to switch and if you already played it then there is not much here for you to see. I was also wondering why the game is $20 , and though it to be perhaps a Nintendo tax if you will, but here is a surprise, the Switch edition of The final station comes with “The only traitor” DLC that you can dive into right after you finish the main game. 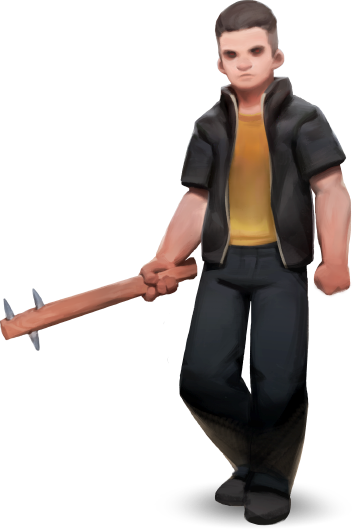 It introduces a new character, new enemies and trades the train for a muscle car adding more variety, story and content. At a 5-6 hour game time for the original game and additional time for the DLC it will keep you well entertained for a rainy weekend. It is up to you if you are willing to pay the cost of admission.